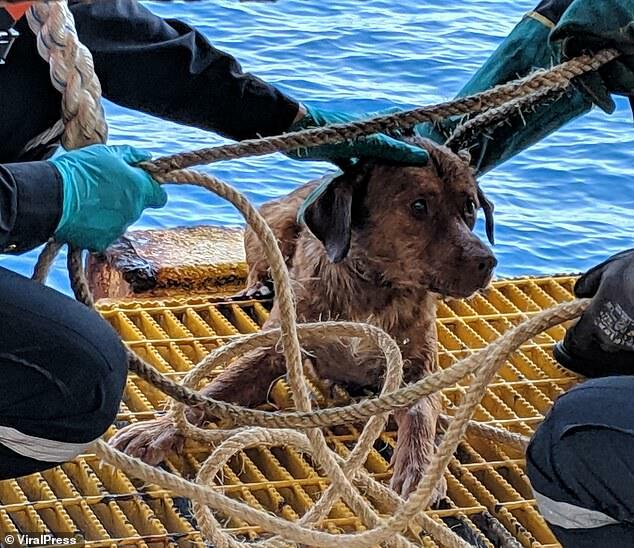 Workers on an oil rig noticed the pooch’s head poking out above the ripples as she paddled through the ocean last Friday. They called out to the exhausted animal – which is between three and five years old – and she swam towards them, taking refuge among the rusty metal bars of the rig. Once she reached the rig, workers nursed the dog back to health while they radioed for help and requested a tanker that was returning to shore to stop by and collect her. She was sent to the animal charity Watchdog Thailand today who took her to be checked over by vets. A spokesman for the charity said: ‘The boat arrived at 10am and the dog was in good spirits. We took her to the vets to be checked and she was found to be healthy. 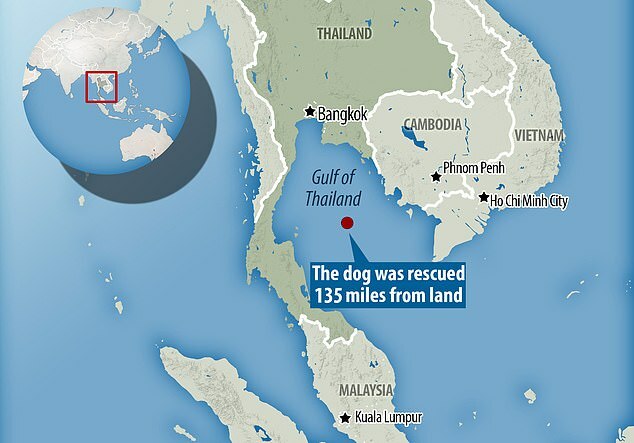 ‘Everybody who played a part in co-coordinating the rescue has done a brilliant job.’ The dog has now been named Boonrod which in Thai means ‘making a spiritual donation for good luck in the future’.